Alberta is an ideal province in which to enjoy the active adult lifestyle. Edmonton and Calgary are two of the liveliest cities in Canada; they are known for their shopping, architecture, professional sports teams, restaurants, and nightlife. You will also have the chance to explore Alberta’s vast outdoors. The Rocky Mountains, numerous national parks, and picturesque lakes are great settings for an active adult. If you think that you might need financial aid to cover the costs of your retirement home, you should apply for the Alberta Seniors Benefit Program (ASBP). The ASBP is a monthly benefit program that is based on income. You must only apply for it once. Alberta’s Ministry of Seniors (AMS) is responsible for retirement residence legislation and runs campaigns that aim to improve the well-being of the province’s seniors. 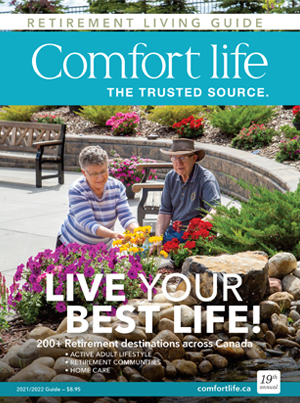 Prior to picking one of Alberta’s active adult living communities, you could contact a representative from the Ministry to learn more about its reputation. You can also consult the Alberta Senior Citizen Housing Association (ASCHA), a non-profit organization that represents the wide array of senior homes in the province. ASCHA membership is voluntary, so members often hold themselves to higher standards than some other homes. 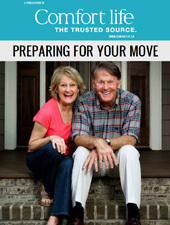 Before selecting an active adult living home in Alberta, you might wish to consider whether it is a member of ASCHA. As you take a closer look at active adult living communities, think about the following questions. Does the community have recreational activities I'm interested in? How much does it cost? Are there any hidden expenses? Does the location matter to me? How close is it to where I ideally want to be? How well is the building maintained? Is it accessible for guests? What can I bring with me? Does the home allow pets?